In July, the Falcon Theatre officially ended its 20-year run, simultaneously relaunching itself as the Garry Marshall Theatre, in honor of its beloved late founder. As part of the new nonprofit’s reorganization and rebranding campaign, the board of directors enlisted the talents of Todd Gallopo, CEO and creative director of the Meat and Potatoes agency (and Toluca Lake resident), to design a new logo. Gallopo shared his thoughts with us about the process and inspiration behind the design. What were important considerations in the new logo design? The Marshall family and staff were changing the name of the theater to honor Garry’s legacy. And the artistic directors, Joe Bwarie and Dimitri Toscas, asked me to think of how the logo would look on a new marquee along Riverside Drive, specifically in neon. I believe we were all on the same page by wanting to infuse some personality into the new logo and not let this rebrand feel institutional or restrained. I began to research anything I could find that related to personal expression. I was looking for something subtle that would attribute a characteristic of Mr. Marshall’s to the logo so that those who knew him would understand, or those who didn’t would just admire it without ever knowing him. I was immediately drawn to his signature. It inspired me to explore typography that felt like script but was not formal, and to incorporate his stylistic horizontal line across the “M.” Garry originally signed his name with the line going over the top of his name, almost completely capping the word Marshall. Garry was told that he was such a positive man and creative person that the line capping his name was stifling his potential, and his family’s. So, he was advised to lower the line (where it is now). That would let his wife and children (the anchors to his life, represented in letters) go beyond the line, helping to continue the creativity and positive energy in their lives and the lives of others. How do you feel about the final design? 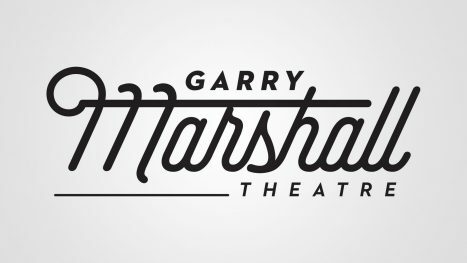 What I hear about the new Garry Marshall Theatre logo, branding and marquee design puts a smile on my face. I have called Toluca Lake home for seven years now. I love living in this community, and to have the opportunity to shape the visual landscape of our quaint town and honor a creative genius at the same time is indeed an honor. 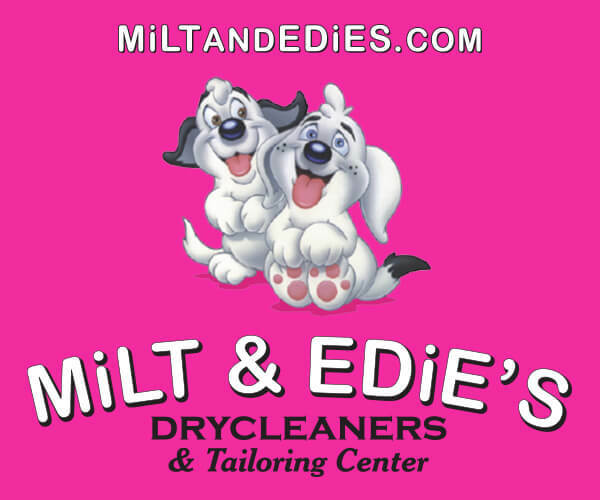 The logo achieves all I had intended to do. And in the long run, that will benefit the theater, the continuance of Garry’s legacy and our community. The more we see the branding come to life, and the theater transform, everyone seems to feel we’ve hit the mark with a nod to Garry’s creativity and personality. The kick-off event invited local families to stop by for free donuts and a fun morning with art supplies to help kids get involved in the creative process.